The current direction of Serrallera Barcelonesa,sl is the third one generation of this family business founded in 1941. 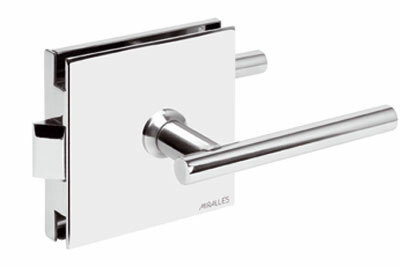 Since then, they markets an extensive offer of locks under the recognized trademark MIRALLES. They arrange also with a section of metali work in constant evolution. The experience, we are a lock-makers since 1941, the quality, thanks to the availability of the machinery and thechnician and highly qualified personnel and the innovation, always perceptive to the tendencies of the market and, above all, always focused on personalizing our products. We manufacture any kind of special lock under our clients needs or designs. These models are especially are appreciated by interior decorators and architects, that trust fully in MIRALLES to achieve a high quality and elegance in their projects.